Beautiful story, awesome pictures, Jane. Thank you. 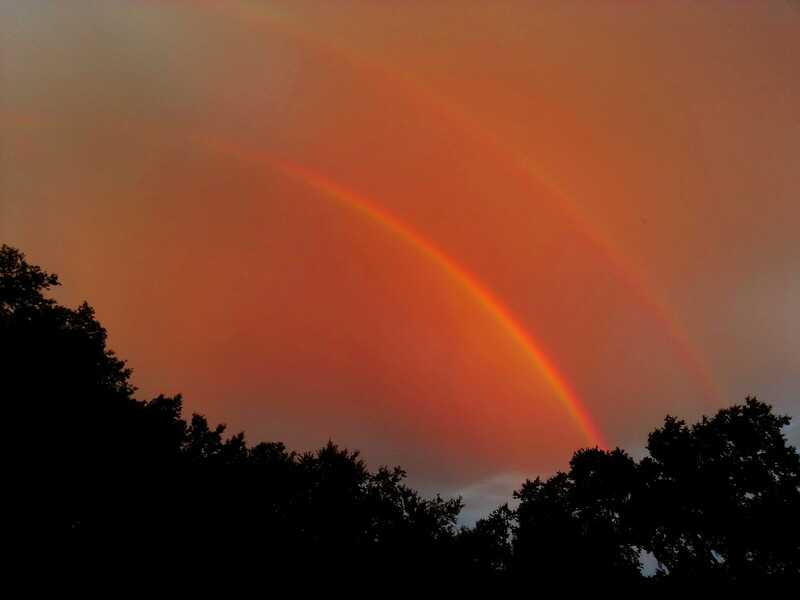 The rainbow pic came from my cell that day. The other two are from my husband’s thousands. I need to remember to give him credit! Beautiful. Scott and I are in Ocean City, NJ and we are remembering his mom. Tonight we saw a gorgeous harvest moon. Thank you for the comment. I love Ocean City, the home of my beloved grandmother, many years ago, another of the saints I’m looking forward to seeing in heaven.